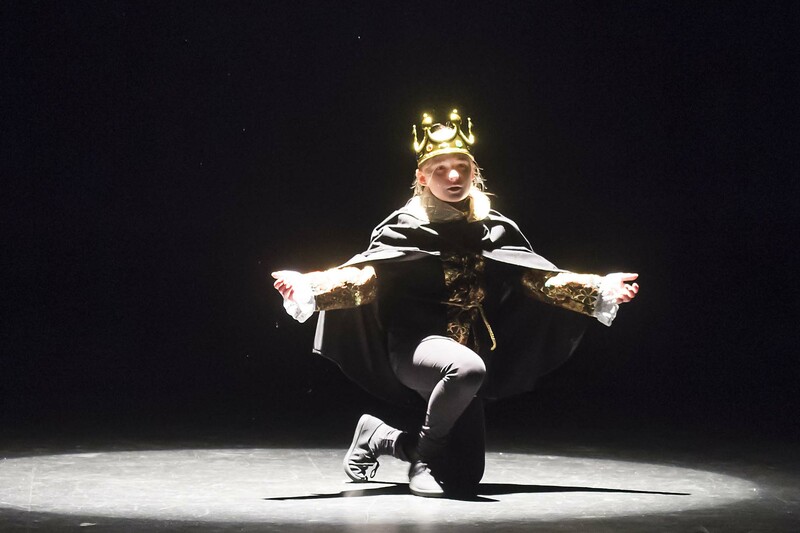 "We are hugely proud of this school, with its fascinating history and excellent standard of teaching and learning. This is a wonderful opportunity for members of the St Margaret’s family to work together and contribute towards the ongoing development of the school with a view to the future but with immediate benefit." 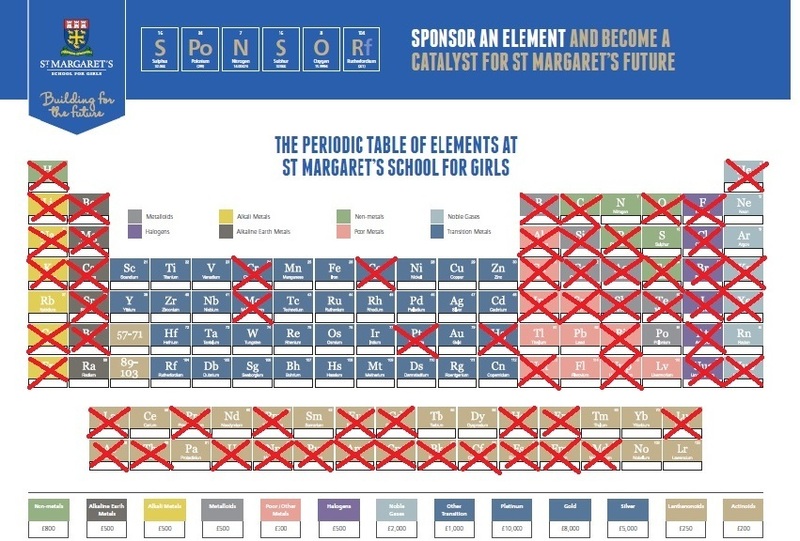 The Periodic Table of Elements is a wonderful feature on the wall of the new science block, and an opportunity to leave your mark on the school for generations to come. There are still elements for sale across a range of prices, starting from £200. 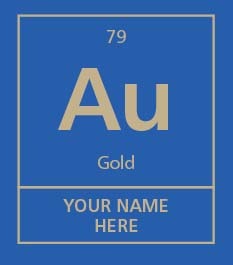 Elements can be named after individuals, companies, year groups or in memory of a loved one. Featuring 120 elements, you can select an element of your choice subject to availability. Please contact info@st-margaret.aberdeen.sch.... if you would like to purchase an element. The Annual Fund is a yearly request to Former Pupils, Former Parents, Parents and Friends of St Margaret’s to make a financial contribution to help support a number of important initiatives at the school which may not otherwise be possible. General – projects that cannot be financed through fee income alone and which will most benefit the pupils currently at the school, as well as future St Margaret’s girls. Bursaries – although the school already offers a number of bursaries each year, the Annual Fund will enable us to create further places for girls who would not otherwise benefit from a St Margaret’s education. This is the start of a long journey. If just 34 people signed up to give a gift of £30 a month (plus Gift Aid) for one year this could help us to fund a Senior School pupil through 1 year of school on a 100% bursary. All gifts will make a difference. 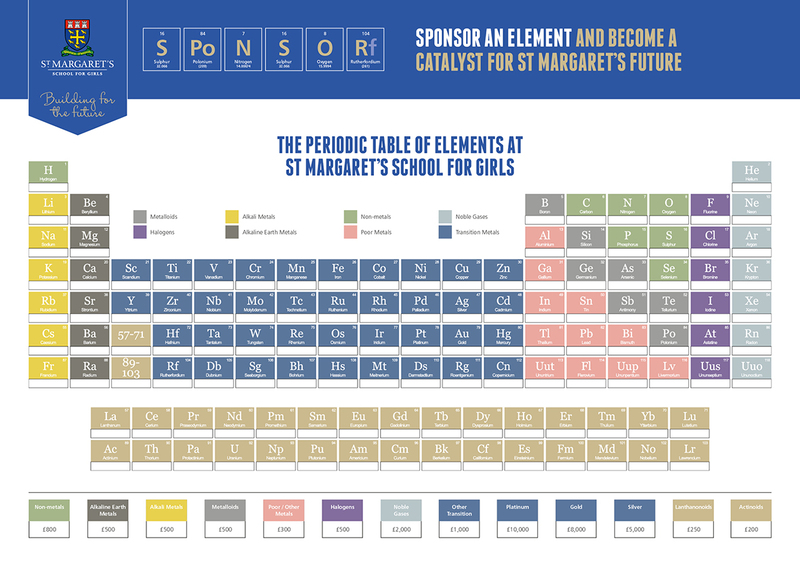 Please consider joining this historic effort for St Margaret’s by making a gift. Contributions of every size will make a genuine difference. Please contact info@st-margaret.aberdeen.sch.... for more information. If you would like to make a one-off donation online please click here. Thank you for your support.